Lum and Abner, the classic American network radio comedy show, was created by Chester Lauck and Norris Goff and aired from 1931 to 1954. 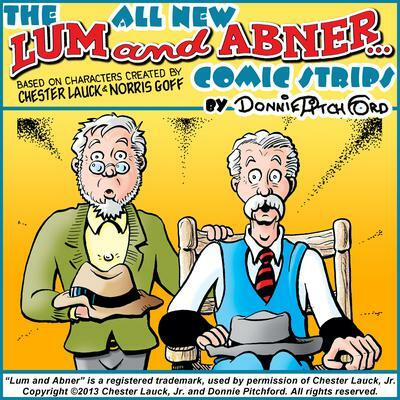 Now for the first time since 1954, veteran radio theater producer Joe Bevilacqua and comic strip artist Donnie Pitchford bring you one hundred new “Lum and Abner” audio comic strips! These hilarious comedy shorts are written, produced, and directed by Donnie Pitchford, with great love for the original, and feature old-time radio style music and sound effects, original scripts, plus a series of new stories based on 1936 “Lum and Abner” radio scripts by Chester Lauck and Norris Goff.